It is with great sadness that we announce the passing of William (Bill) Coker on January 22nd, 2013 after a courageous 16 year battle with prostate cancer. He was 67 years old. Bill was a brilliant applied geochemist, mentor, teacher, friend, world-traveller and exemplary family man. He served the Association in many capacities, including President of our predecessor organization, the Association of Exploration Geochemists in 1996. Bill was born in Brandon, Manitoba on May 1st, 1946. He obtained his BSc in Geology at Carleton University in 1971 and his PhD in Geochemistry and Geology at Queen's University, under the supervision of Ian Nichol, in 1974. His PhD thesis was ‘Lake sediment geochemistry in the Superior province of the Canadian Shield.’ In conjunction with colleagues at the Geological Survey of Canada, this work evolved to both regional and follow-up geochemical surveying of the Canadian Shield under the Uranium Reconnaissance Program. Over his career, he accumulated a broad range of scientific and leadership experience in government, industry and consulting. He was with the Geological Survey of Canada for the periods 1975-1981 and 1986-1996. His focus was surficial environments of the Canadian Shield with emphasis on both reconnaissance lake sediment geochemistry and Quaternary overburden programs. He was early to recognize the use of regional geochemical data, initially collected for mineral exploration, for environmental issues. During the latter period of his employment at the GSC he was a Research Scientist involved in many aspects of exploration geochemistry across the continent, and had a major involvement in several of the Federal/Provincial Mineral Development Agreements as well as helping to mould the newly developing Environmental Geochemistry program. He had the rare ability to be able to competently cope with his ongoing research while holding the position of Subdivision Head (Exploration Geochemistry) and frequently filling in as Director of the GSC’s Mineral Resources Division. Bill combined the standard, but not necessarily common, characteristics for a productive and successful career: native intellect, curiosity, a lifetime of preparation through experience, extensive field experience, and hard work. Bill also possessed qualities that are less common: a keen focus allowing him to efficiently execute the tasks before him and a genuine likeable personality. It was the latter quality that opened doors through the relationships he built with co-workers. The recognition of these qualities by his peers and colleagues resulted in Bill being called on to serve on committees and advisory boards throughout his career, to the benefit of the profession at large. This included organizing and participating in workshops and short courses in exploration geochemistry both within organizations he represented and the public at large. Someone once stated that if you wanted something done, get a busy but capable individual. That fits Bill to a “T". Bill leaves behind his wife of 43 years, Jane. She was 'his person' and the love of his life. He was the loving and proud father to his 7 kids: Laura, Ken, David, Sarah, Susan, Ellen and Tim; and his 11 grandchildren: Stephen, Lizzie, Emily, Makenzie, Jaylin, Shayla, Kale, Tom, Jamie, Audrey and Liam. They are all devastated by the loss of their father and grandfather, a truly wonderful man, and thankful for all that he gave during his lifetime. He was the best of the best. The geochemistry community is fairly small and tight knit. His loss will be the loss of an extraordinary person, geochemist and family man. He brought much to our field and will be missed. He leaves a strong legacy to us and to his family. Our thoughts are with him and his family. We wish him peace. 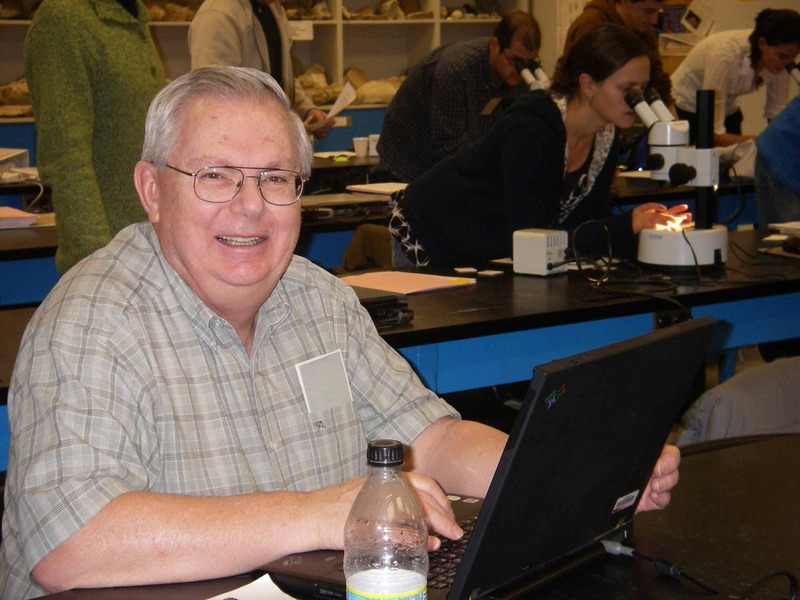 In honour of Bill and other great geochemists that have passed before him, contributions to the AAG Distinguished Applied Geochemists Fund are welcomed. Funds are used for scholarships to benefit the next generation of geochemists in their honour. Contributions can be made online at the AAG website using the web link listed below or by mailing a cheque to the AAG Business Office, P.O. Box 26099, 72 Robertson Road, Nepean, Ontario, K2H 9R0, CANADA, Tel: +1 613-828-0199.